Ari Lee of New York City, invents an innovative solution that provides an effective relief from the troubles of fleas. When used correctly, this brilliant product keeps the house free from any infestation. Flea Light™, as the inventor has named this simple tool, is a safe and non-toxic approach that completely rids your home of fleas. Flea Light™ works on the fundamentals of LED lighting technology and it uses soapy water as the principal agent, killing fleas upon contact. 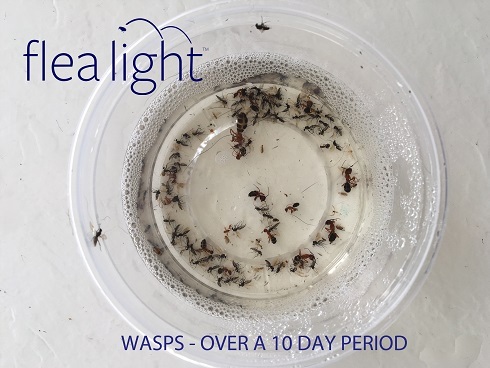 Each Flea Light™ kit contains everything that you need to combat the pest invasion. You will never be required to purchase additional items such as; sticky pads or light bulbs to continue working. In addition, this nifty invention offers a solution that requires minimal power input which makes it an energy efficient and cost-effective solution to win over the challenges of the flea infestation in your home. As specified by the innovator, the Flea Light™ consumes an insignificant amount of energy using only 0.0072 KWH (kilowatt hours) per month which equates to only a few pennies per day. Now Pet Lovers can rest assure they will not encounter any significant utility cost even while when using Flea Light™ 24/7 – 365. The best part is – it never uses any toxic chemicals which makes it completely safe for your pets and children. 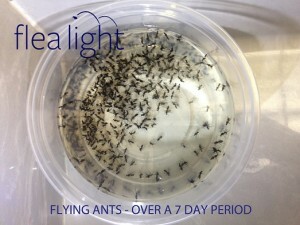 Flea Light™ is completely free from chemicals and does not require the use of harmful toxins. Most of the devices currently in the marketplace involve the use of hazardous toxins that can be detrimental to human health. The current market is flooded with numerous repellents and countless devices, that only produce a minimal outcome at a high cost while still leaving the consumer wondering if the issue has actually been resolved. Flea Light™ provides a visual approach that allows you to watch the results in action. Using Flea Light™ to protect your home and pets is a small investment worth considering, to safeguard your home and family from these relentless pests. Such incredible ingenuity yields truly effective results. 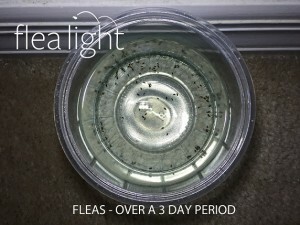 Flea Light™ is a modern day flea trap that aides in detecting and preventing flea infestations. Its toxin-free and simple approach to trapping fleas can enable the users to win over the challenges of infestations. 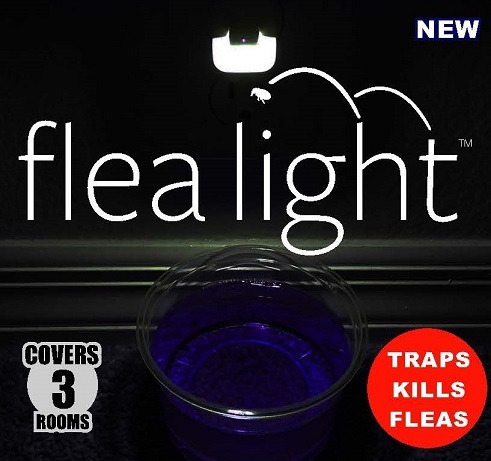 Flea Light™ is an innovative and unique product that provides an energy efficient, non-toxic solution to treating the challenge of a flea infestation in your home or business. Each kit is cost effective and covers up to 3 rooms for less than $25.